Our goal is for you to be happy and satisfied with your process and we look forward to many return visits and orders from you in the future! This item is created and sold mainly for the use in crafts, hobbies and jewelry projects. 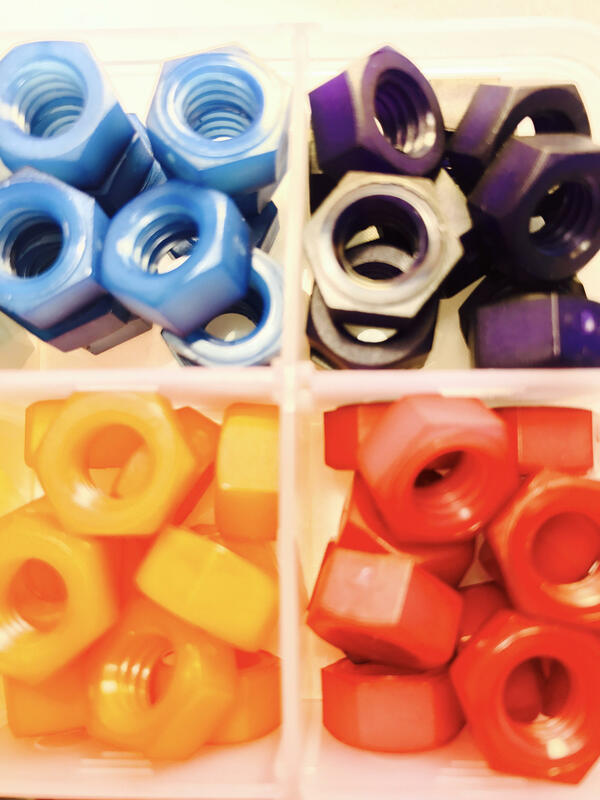 A Sampler Kit consisting of Custom made colored Nylon Hex Nuts & Pastel Colored Nylon Hex Nuts size 5/16-18. 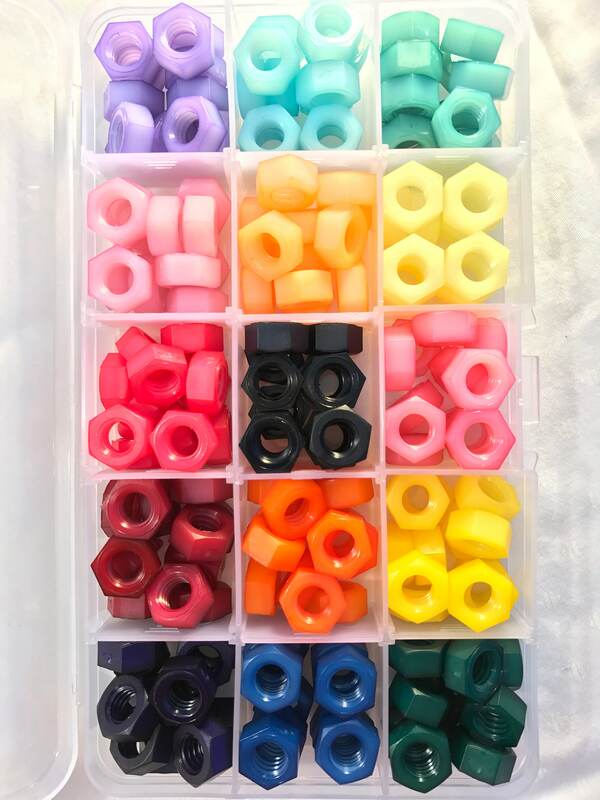 This is a Sampler Kit of the Solid colors available and they are also available on other listings in our shop as individual colors to be ordered. Other sizes available upon request. Colors in this Sampler Kit are: Solid Standard colors Purple, Blue, Green, Yellow, Orange, Red & Fuchsia. Pastel Colors are Purple, Blue, Green, Pink, Yellow, Orange, Fuchsia & Black is included too. All colors in Sampler Kit have a quantity of 12 each, for a total of 180 pieces in the complete Sampler Kit. 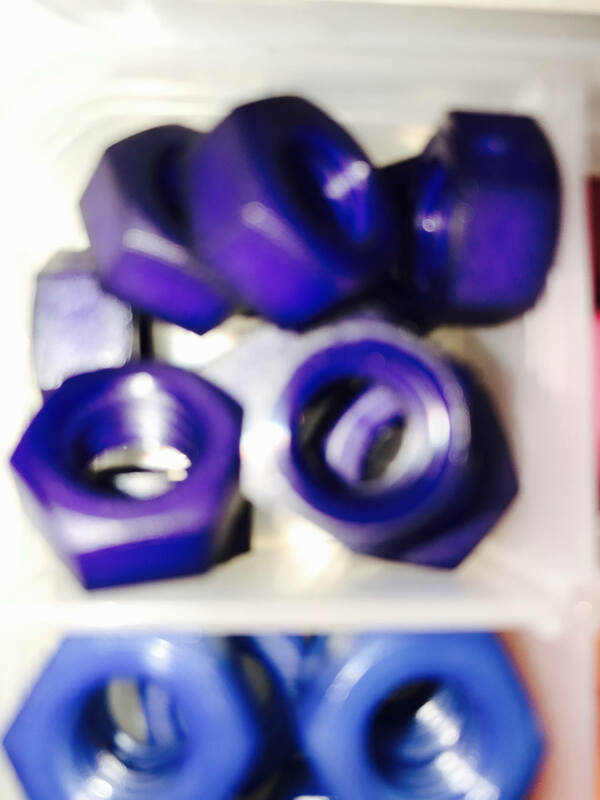 Please note: The Solid Purple Colored Nylon Hex Nut is a very dark purple color. The close up photos show that it is a very deep intense purple, but in good light or in the sunlight it shows as a very vibrant purple. If you message us, we will also allow you to create your own choice colors for your SAMPLER BOX! 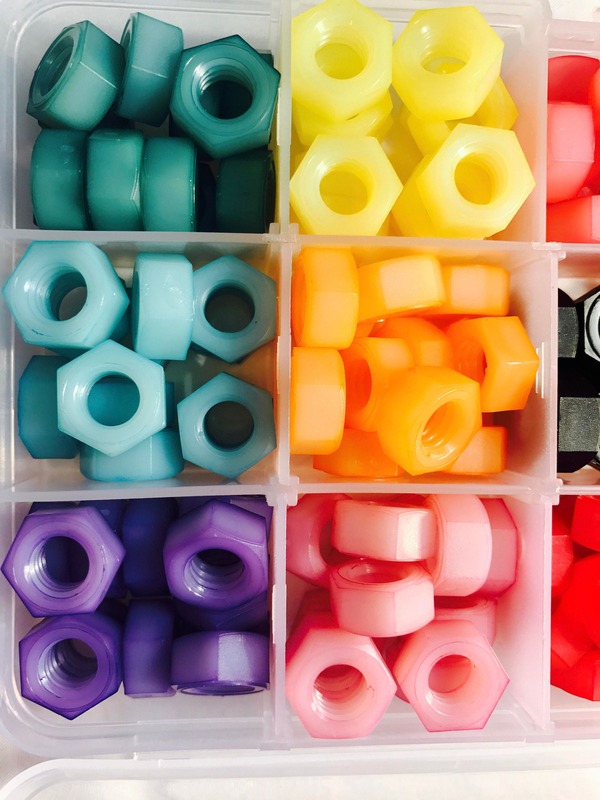 Use the list below for choosing your own 15 colors in the sampler box. Message us the numbers to the left of each color you want I. The Sampler Box. Choose only 15. 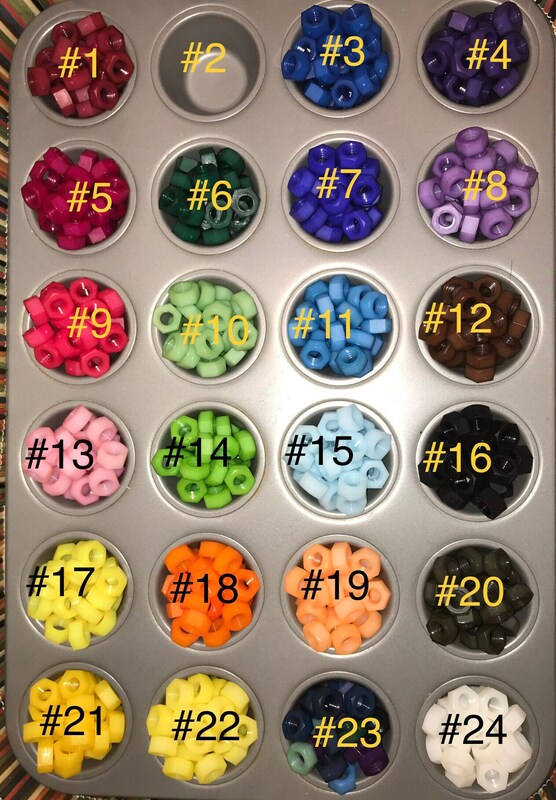 Look for the photo with all the colors and the numbers for help selecting colors. 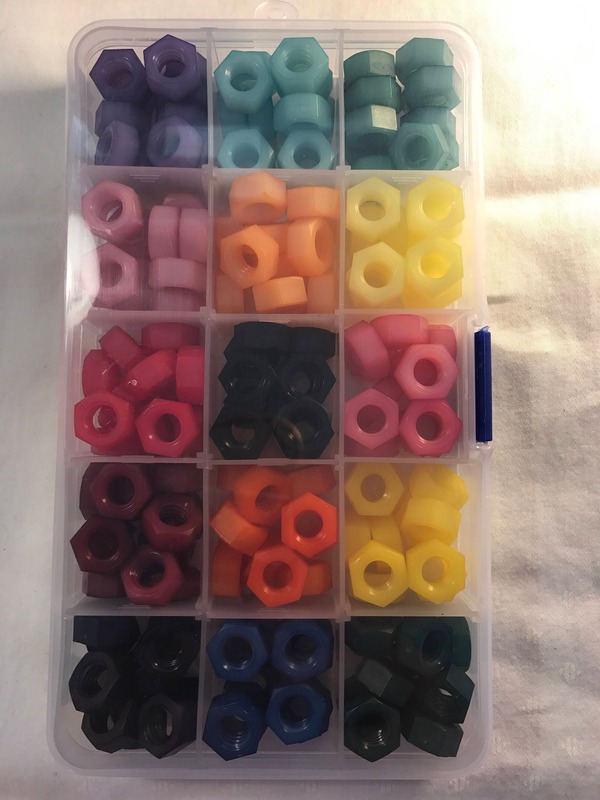 When selecting QTY of 1, it means you are buying one Plastic 15 compartment organizer box with 15 different colored 5/16-18" Nylon Hex Nuts, with each color having 12 pieces each. Thank you for your order and PLEASE contact us with any questions or specific needs for making this a happy process for you!